Drinking alcohol does not always constitute a problem. In fact, even in those who drink excessively, most are not considered to be alcohol dependent or alcoholics, per the National Institute of Justice. Alcohol is a central nervous system depressant, and when ingested in moderation, it is not always harmful. When you drink alcohol, although it enters your stomach first, about 80 percent of it is absorbed in the small intestine, and only about 20 percent is actually absorbed by the stomach. The liver then uses enzymes to break down and metabolize the alcohol. Therefore, if your body is given time to keep up with your alcohol intake, you may not experience some of the more dangerous side effects or get drunk. Consuming more than four drinks for a woman and five drinks for a man in one sitting is considered binge drinking, per the Centers for Disease Control (CDC). Heavy drinking is when a woman consumes eight drinks or a man consumes more than 15 drinks in a week. Both binge and heavy drinking, as well as drinking below the legal age of 21 or drinking alcohol when pregnant, can lead to short-term and long-term problems with alcohol. Intoxication occurs when the amount of alcohol in the body reaches levels that depress the central nervous system, altering one’s mental state, physical abilities, and mood. The amount of alcohol in the bloodstream can be measured, and the resulting ratio is called blood alcohol concentration, or BAC. Each drink consumed works to raise BAC levels. The National Institute on Alcohol Abuse and Alcoholism (NIAAA) identifies binge drinking as raising the BAC to 0.08 or above. This is considered legally intoxicated. The central nervous system includes the brain and spinal cord, and it is responsible for motor functions, thoughts, and memory processing as well as life functions like respiration, blood pressure, and heart rate. The brain works by sending messages around the body via the central nervous system. Alcohol interferes with the brain’s natural chemical messengers, or neurotransmitters, by inhibiting them, suppressing them, or exciting them, thereby increasing their effects. The neurotransmitter gamma-amino butyric acid, or GABA, acts as a natural tranquilizer, and when stimulated by alcohol, it depresses the central nervous system functions, causing sluggish motor skills and impaired speech. Similarly, the chemical neurotransmitter dopamine, in the reward center of the brain, is also stimulated. Dopamine is responsible for pleasure, and it is what creates a euphoric feeling when alcohol is consumed. The excitatory natural stimulant glutamate is inhibited by alcohol, slowing down brain activity and energy levels. The level of intoxication and BAC can vary from person to person, depending on several factors. While two people can both drink the same amount, one may become drunk while the other doesn’t. Someone who weighs more is generally going to metabolize alcohol faster than someone weighing less. For example, a man who is 250 pounds will likely only have a BAC of 0.017 after one drink, while a man who is 100 pounds will have a BAC of 0.043 after drinking the same drink, as published by the University of Notre Dame. Gender also plays a role in alcohol metabolism, and typically, women become intoxicated faster than men. This may be due to the fact that women have less body water to dilute the alcohol than men do and less of a liver enzyme called dehydrogenase to help break it down. A 150-pound man is estimated to have a 0.029 BAC after one drink, while a woman of the same size, drinking the same amount, is estimated to have a BAC of 0.034. Age, genetic makeup, and family history are all factors that may affect intoxication levels as well. Someone with a family history of alcoholism may be more susceptible to developing the disease than someone who doesn’t, for instance. Also, some people of Asian descent have fewer active liver enzymes, making it more difficult for their bodies to break down alcohol. Additionally, if alcohol is consumed on a regular basis, the brain and body can develop a tolerance to its presence, which means someone who drinks regularly is likely to be able to metabolize alcohol more quickly than someone who doesn’t drink as often. BAC levels may be up to three times higher in someone who has an empty stomach than someone who has eaten more recently, according to Brown University. Food helps dilute alcohol and keeps it in the stomach and small intestine longer, allowing the body to break it down more easily. Drinking an excessive amount of alcohol in a short timespan also sends it more rapidly into the bloodstream and raises BAC faster than drinking slowly does. The liver is unable to process large amounts of alcohol quickly. NIAAA reports that adolescents who start drinking before age 15 are more than four times as likely to develop an alcohol use disorder later in life. Young bodies and brains are still developing and introducing alcohol too early may lead to other health and cognitive concerns. Those who also suffer from a mental health disorder may react differently to variable levels of alcohol than someone without a mental health disorder. Of those who abuse alcohol, one-third of them are also suffering from a mental health disorder, as reported by the National Alliance on Mental Illness (NAMI). Mixing other substances or drugs, especially other depressants like tranquilizers or sedatives, with alcohol may also intensify the effects of both substances and can have dangerous consequences, leading to coma, memory loss, or even death. Alcohol affects the brain and body in many ways and on many different levels. NIAAA defines low-risk drinking as not having more than three drinks for a woman and four for a man on any given day, and seven drinks in a week for a woman and 14 drinks a week for a man. Any more than that can increase the risk for alcohol-related side effects. These are generalizations and levels of intoxication may vary from person to person and may depend on some of the same factors as BAC ratios do. Some people may experience a blackout, where they appear fine at the time but the next day may have no memory of a certain period of time. Researchers aren’t clear exactly what causes this; however, blackouts are likely related to alcohol’s effect on short-term memory storage. A blackout differs from passing out, in that when someone passes out, they lose consciousness. If this occurs, be sure to seek immediate medical attention, as this can be a symptom of alcohol poisoning, which can be life-threatening. Chronic alcohol abuse may have lasting effects on the brain and body. Since alcohol depresses bodily functions like heart rate, blood pressure, and respiration, heavy drinkers may experience heart trouble in the form of cardiovascular disease or heart failure, as well as high blood pressure, stroke, obesity, and a higher risk for developing breast and other forms of cancer. The liver is overworked in someone who drinks excessively, which can lead to cirrhosis or liver damage that can be potentially life-threatening. Chronic drinkers may also have a higher risk for developing brain damage and dementia, or suffering from memory and learning issues. Alcohol depletes the brain and body of necessary nutrients, and can lower blood sugar, cause dehydration, and use up essential vitamins and minerals. According to NIAAA, over 80 percent of alcoholics have a thiamine deficiency that can lead to the development of serious brain disorders, including Wernicke-Korsakoff syndrome, which impairs learning, coordination, and memory functions. Most people who have consumed alcohol in their lifetimes have experienced a hangover the next day, with symptoms like nausea or vomiting, tiredness, dehydration, and headaches. Chronic alcohol abuse may lead to an exaggeration of these side effects and the addition of withdrawal symptoms when alcohol is removed, which can even be life-threatening if left untreated. Alcohol withdrawal symptoms usually start within eight hours of the last drink but can be delayed until days later. They may include anxiety, depression, mood swings, irritability, fatigue, nightmares, tremors, headaches, insomnia, loss of appetite, nausea and vomiting, rapid heart rate, and sweating. A more serious form of alcohol withdrawal is called delirium tremens (DTs), and sufferers may experience severe confusion, hallucinations, agitation, fever, and seizures. DTs needs to be medically managed immediately. Although as many as 17 million adults in the United States needed specialized treatment for an AUD in 2012, only 8.4 percent of these adults in need received proper care, as published by NIAAA. AUDs are highly treatable, however. 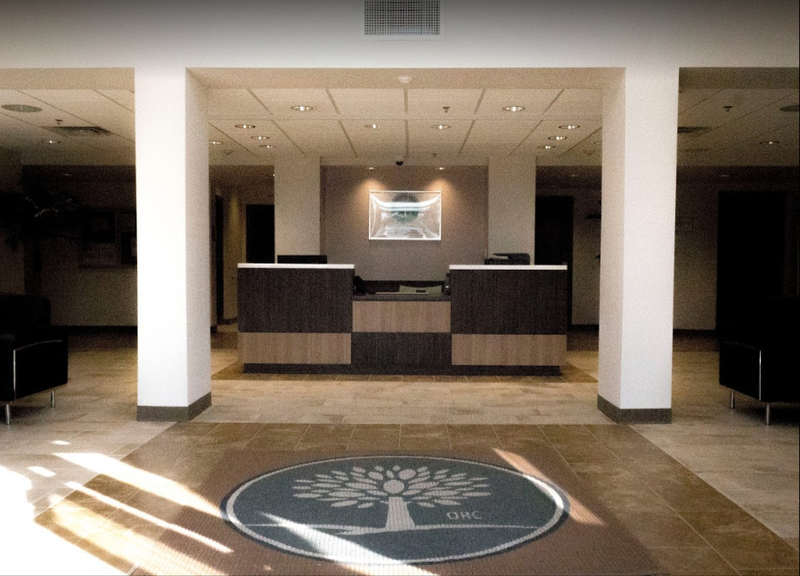 In order to safely manage the side effects of alcohol withdrawal, a professional rehab program is often the best option. Detox facilities can medically manage symptoms, helping to ease discomfort and make the detox process as smooth as possible. Round-the-clock medical supervision promotes the health and safety of everyone involved. Detox should be followed by intensive therapeutic treatment to effectively address the addiction issue. 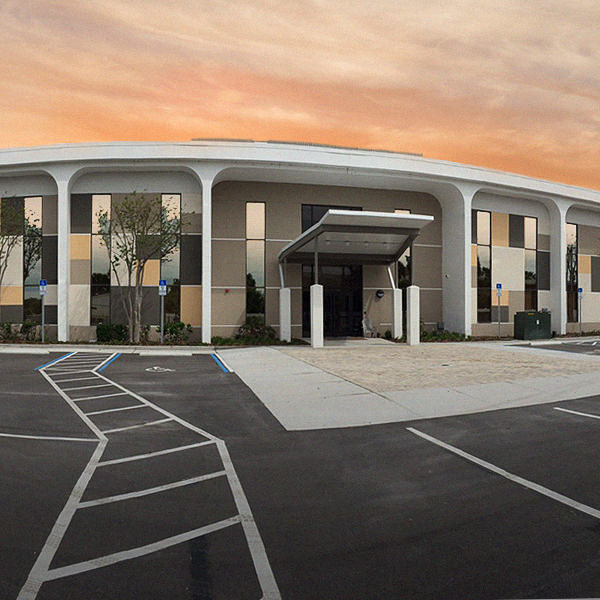 Orlando Recovery Center provides a safe and secure environment with progressive treatment models that are best suited to promote healing. Professional and compassionate staff members are available to help you or your loved one. Call now to learn more.